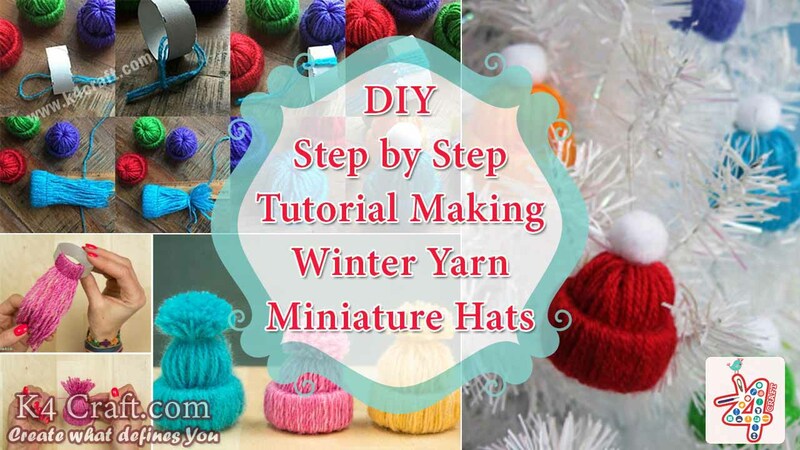 Winter Yarn Miniature Hats: Planning to host a Christmas party? Still in search for items for decoration? If you are stuck with it, let me help you with some cute little stuff. Making Christmas ornaments are not very easy. 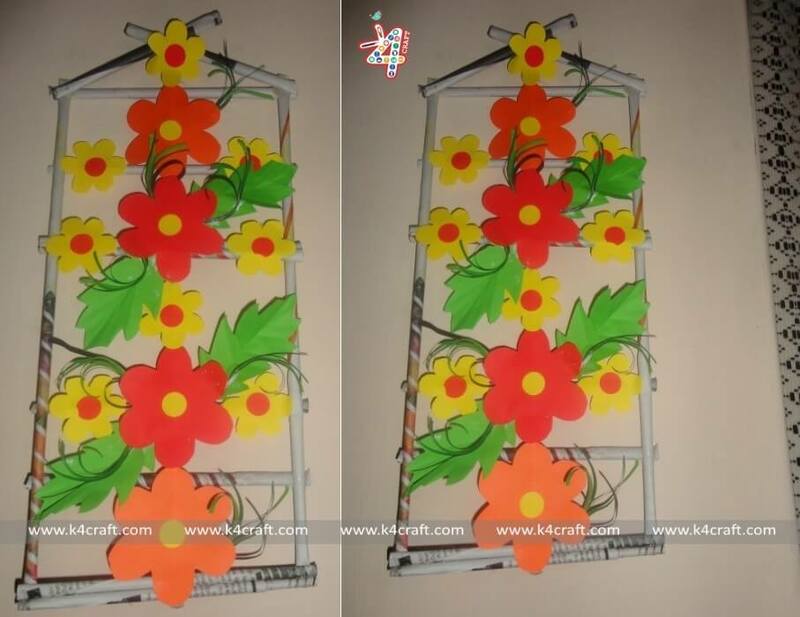 But if you start making things by now, it would really help you not only to decorate your room, but also to save a huge amount from your earnings. Fill your party venue with some pretty and adorable handcrafted materials. Let your guests get amused with your creativity. 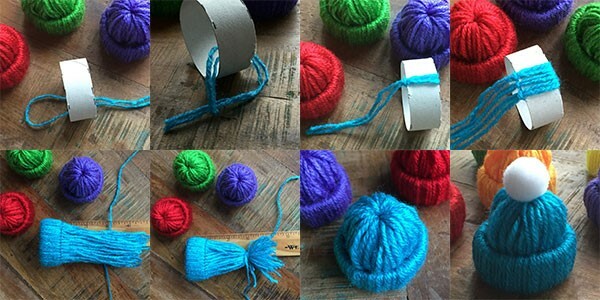 Therefore, I’m sharing here the tutorial for making this miniature yarn hats that can be hung everywhere. Don’t underestimate the power of these little hats. 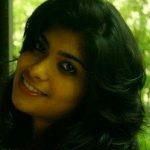 Make few of them and you will get to know how adorable they are. Cardboard tubes, you can use paper rolls from toilet. That’s all you needed. Now have a look at the instructions given below and start making your miniature hats. Start by cutting off the cardboard tube making it a small cylinder. When it is said small cylinder it means one that looks like a bangle. But make sure it is ¾ inch wide. 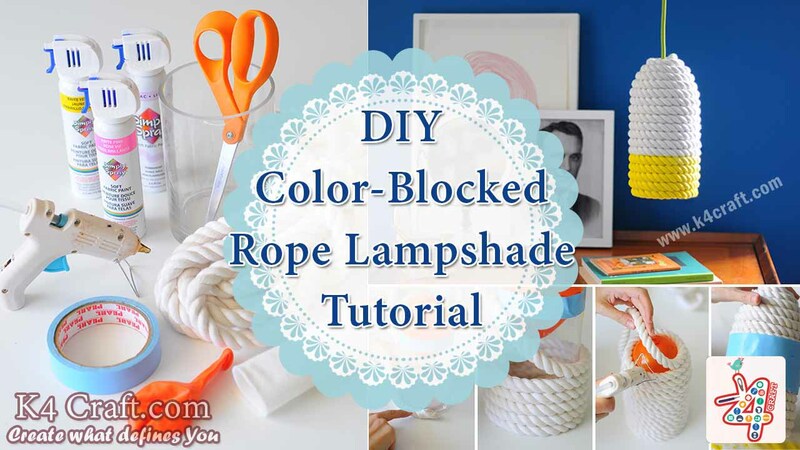 Now, tie a 15 inch piece of yarn around tube and give a head knot as shown in the picture. Cover the ring with yarn completely like this. 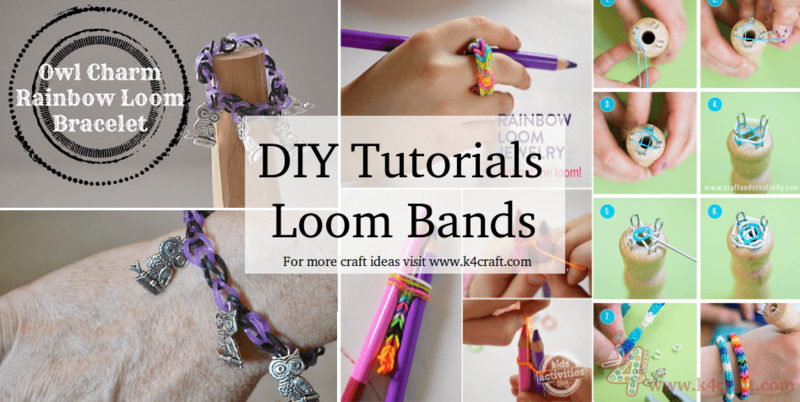 When you are done with covering your entire tube with yarn, tie a knot at the end like it is shown in the picture. Push out the ends that are you have already knotted through the ring. That way you will get the shape of a small winter hat. You can take a small piece of yarn and hold the top end that you pushed through the ring in the above step and tie with the yarn at the end tightly. This is the last step. 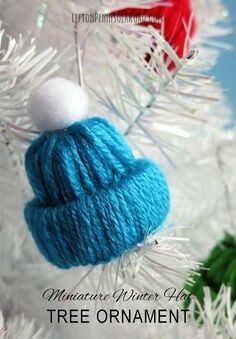 You can glue a small pom-pom at the top of the hat. While attaching a pom- pom, try to select colors that are contrast to that of the yarn. Once you finished all the above steps, you can take a small piece of ribbon and hang them at two sides. You can make them in red and white colors so that it matches with Santa’s Christmas hat and hang them in between your fairy lights. Don’t they look gorgeous? Decorate your living room with this cute little hats and fairy lights. You can also hang them on Christmas tree. If you have few more of these hats left, I will suggest you to hang them on key rings or bags. Or if you have small children at your home make a Santa hat and place them on their favorite dolls. This is definitely going to surprise them. Or you can also teach your kids how to make this hat and ask them to make and contribute to the school Christmas decoration. Hold on!! More Christmas decoration ideas are on its way.